Easter Archives - Pebbles, Inc. They were really easy to put together. Let me show you how! Here’s what you’ll need to gather. 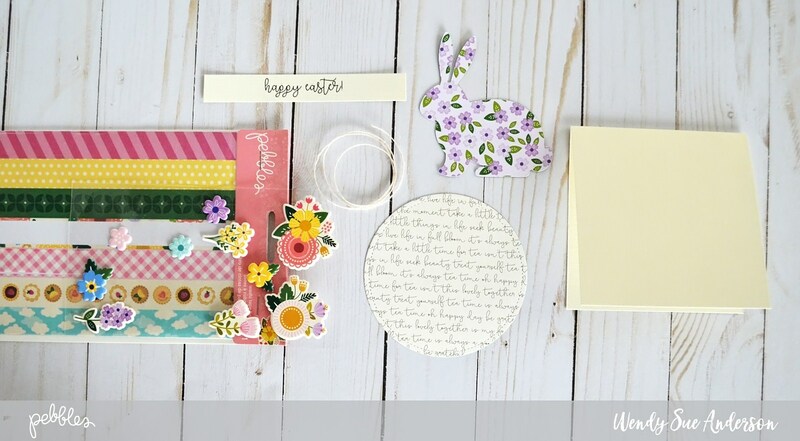 A bunny cut from floral patterned paper, a circle cut from patterned paper, washi tape, jute/twine, “happy easter” printed on cream cardstock, a cream cardstock card base, puffy stickers, and foam adhesive squares! 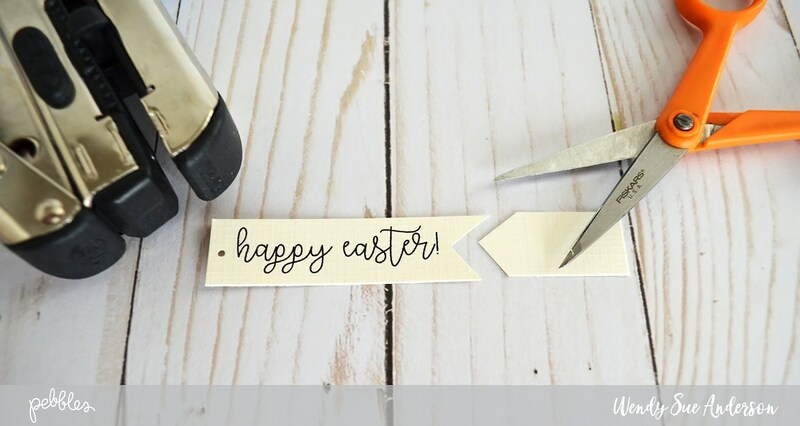 Start by trimming the sentiment into a banner shape and punching a small hole to create a tag. 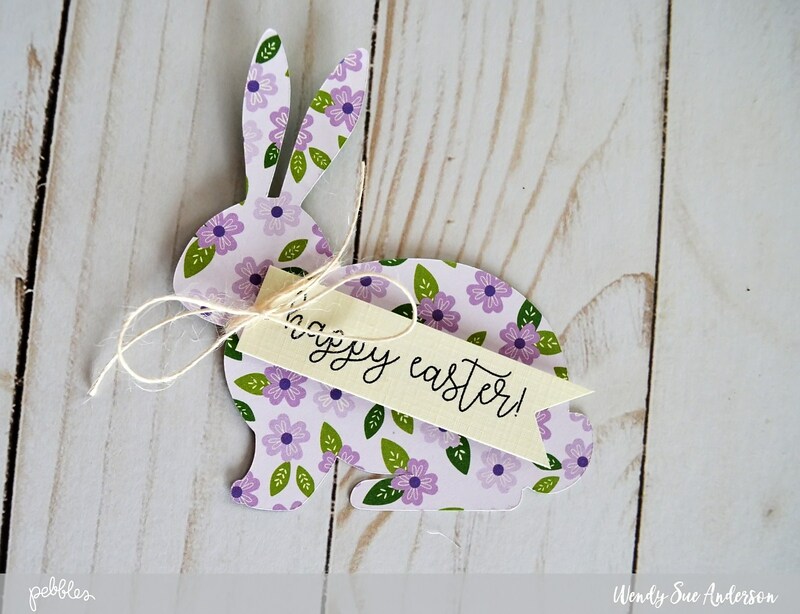 Tie jute around the bunny’s neck and attach the tag. 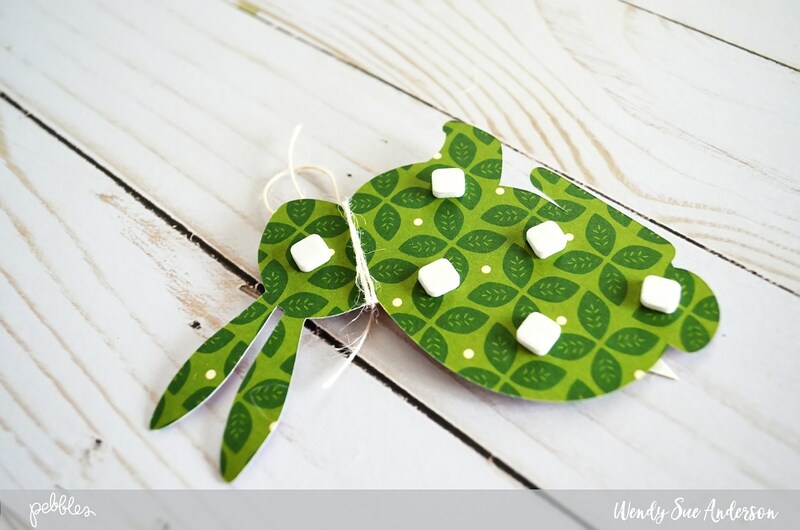 Add foam adhesive squares to the back of the bunny and place it on the circle. 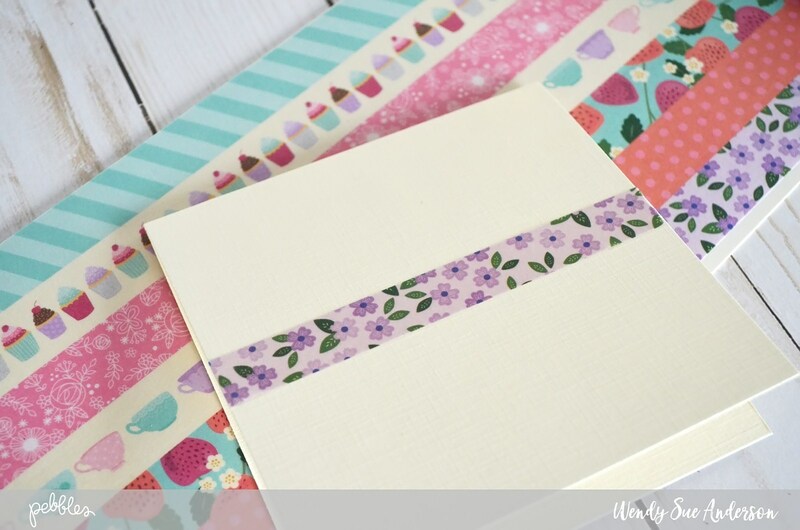 Add a strip of coordinating washi tape across the middle of the card base front. Place the circle in the center. 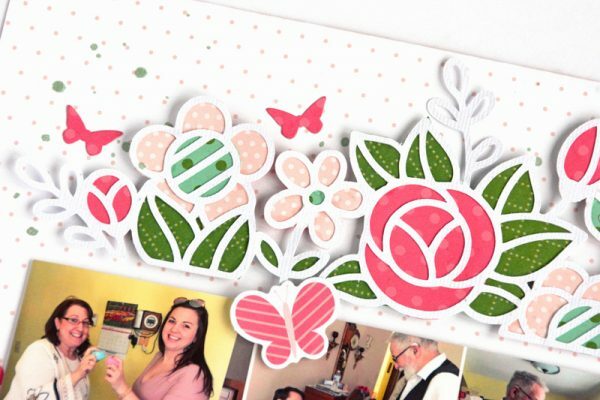 And for a bit of fun, add a coordinating floral puffy sticker to the inside bottom corner! 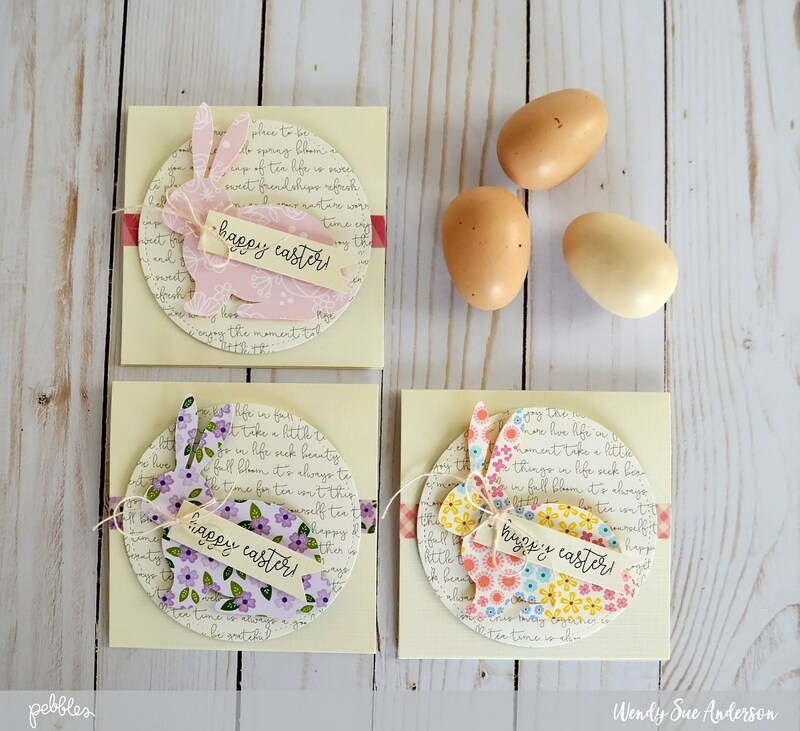 Now simply repeat the process for each card you would like to create. 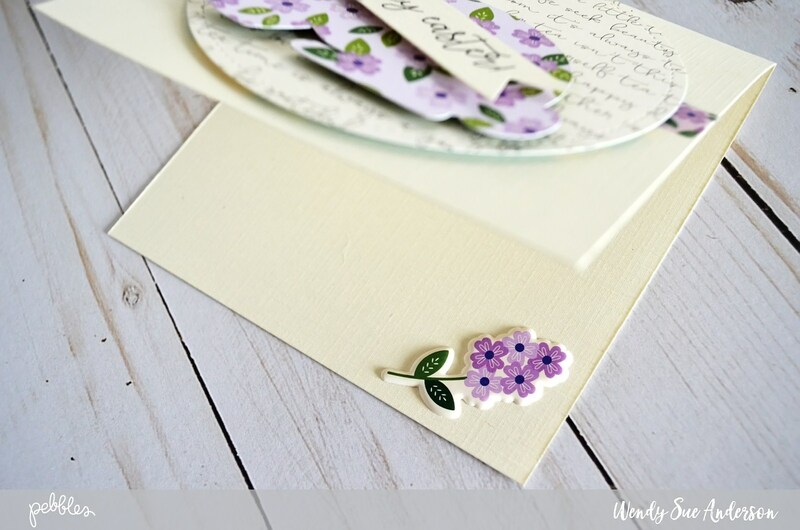 I used the We R Memory Keepers Pillow Box Punch Board to create the 6″x6″ gift boxes. 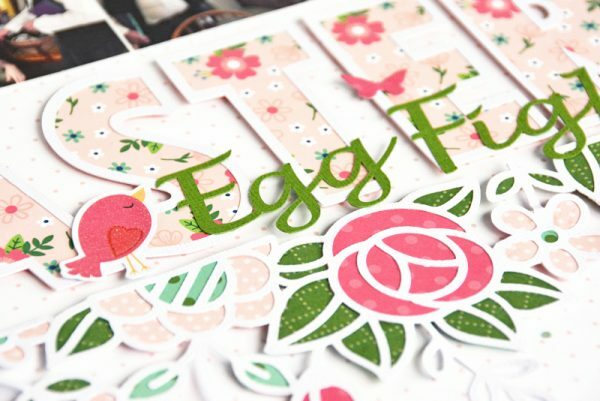 These punch boards are super easy to use and in no time at all the boxes were ready. 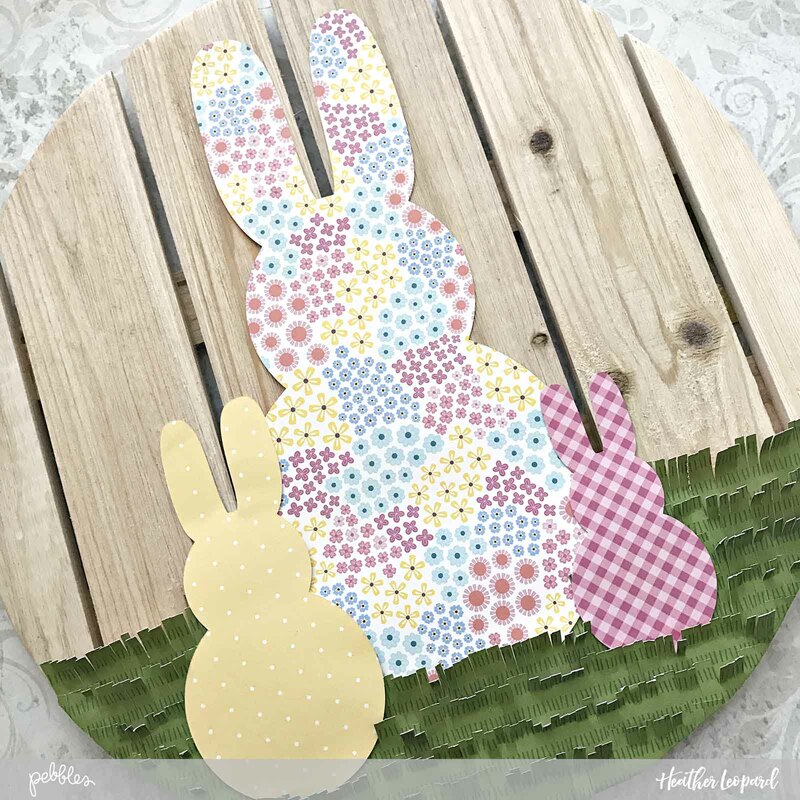 To create the bunnies I used a digital cut file from Lori Whitlock I found in the Silhouette Store. 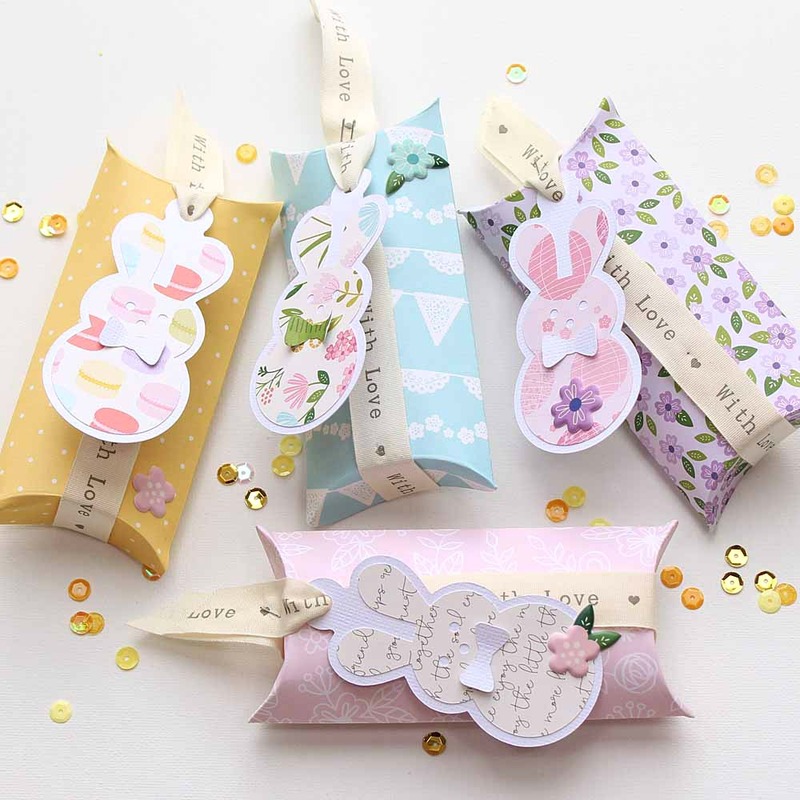 The ribbon I used around the boxes comes from my own stash. 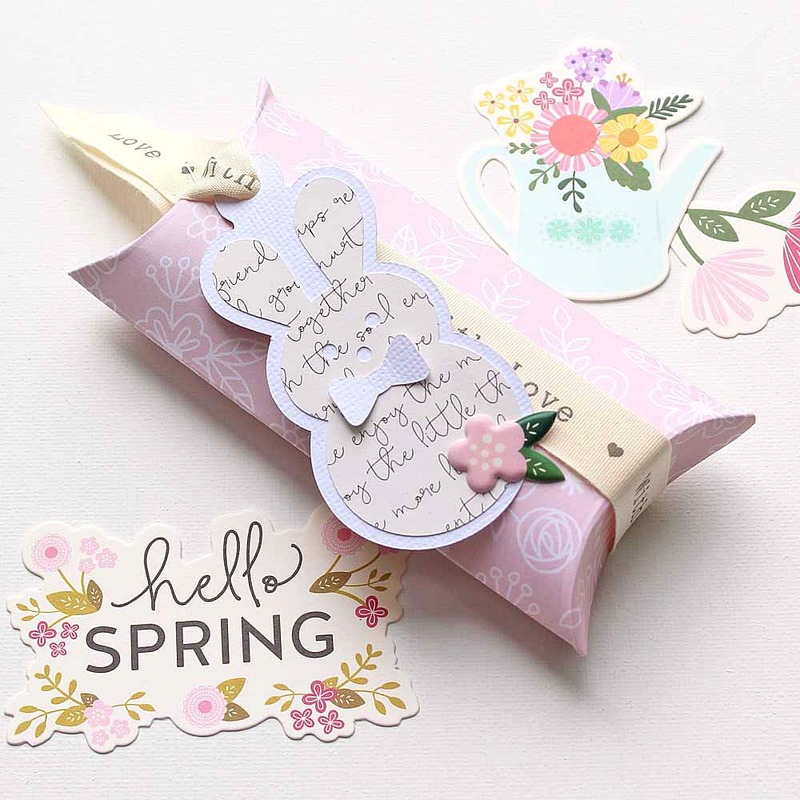 I adore all the soft colors and cute designs in this collection and I wanted to use as many of the patterned papers as possible. 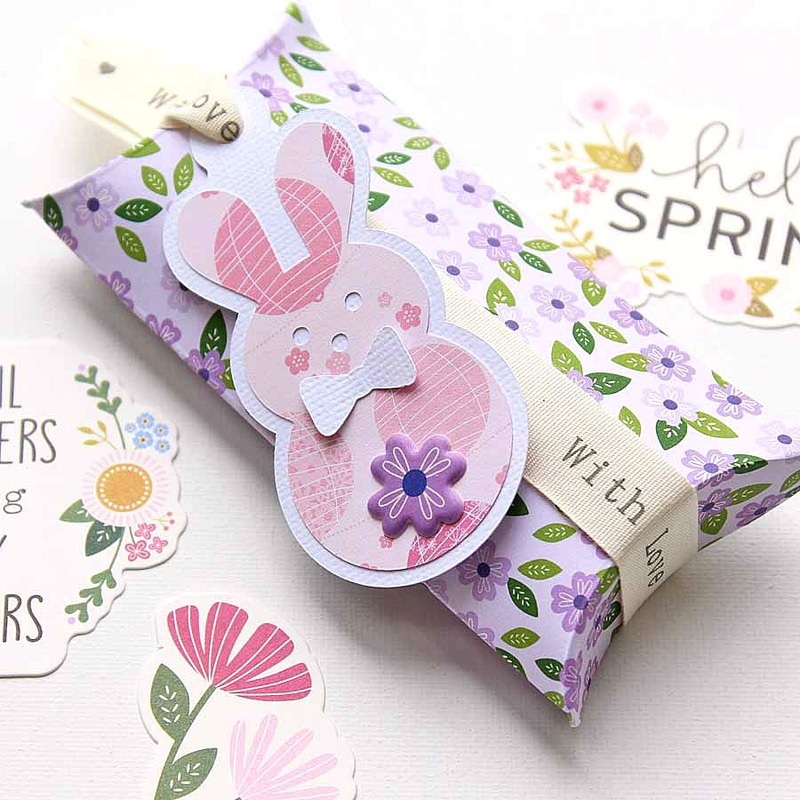 I decided to use different papers for both the boxes and the bunnies. For the finishing touch I gave all the boxes one of the seriously sweet puffy stickers as well. I just love how they turned out! Hope you like them too. 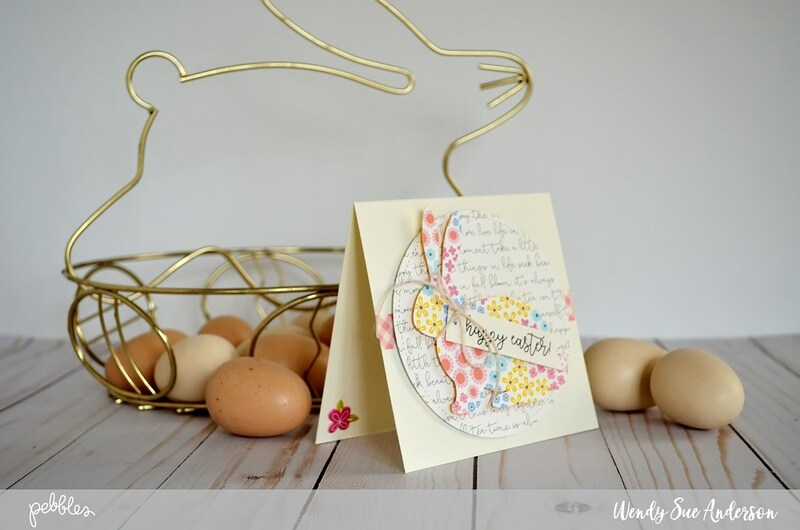 Thank you so much for stopping by our blog today! Wishing you a sunny day! Hello Pebbles Friends! 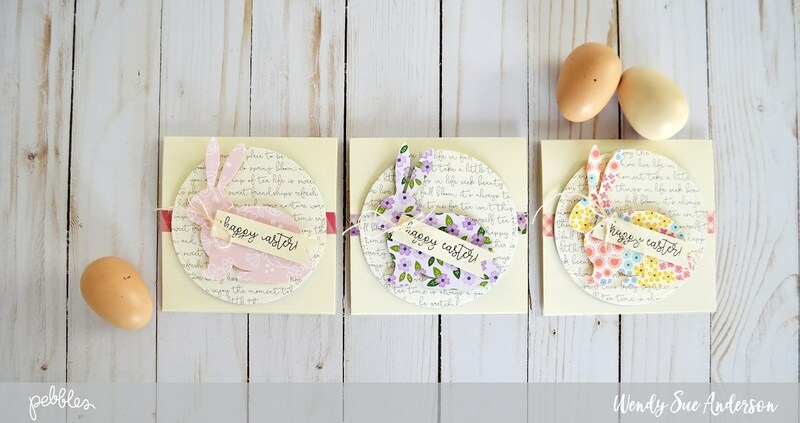 It’s Leanne here today sharing a cute little Easter Gift Idea with your favourite Pebbles Inc collection and some cardstock. 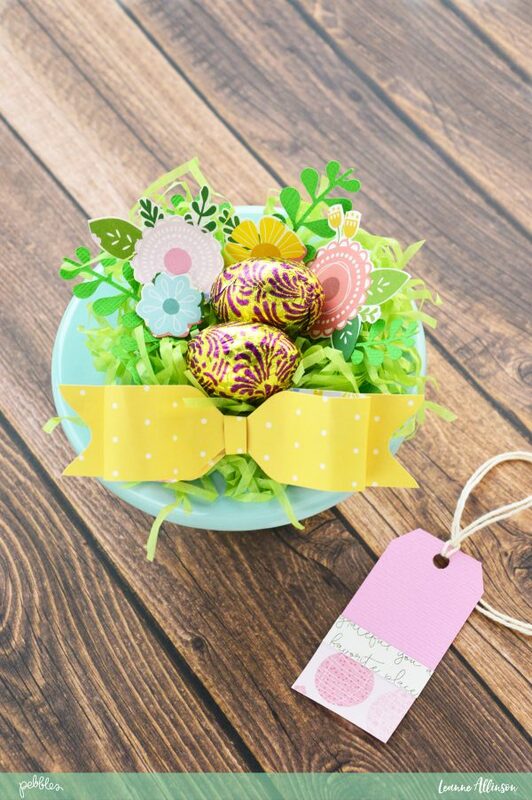 In our house at Easter time we love to create little Easter egg nests and there’s nothing simpler than using beautiful patterned paper to achieve our goals! This year I have made miniature table top decorations but they are perfect for teacher’s or neighbour gifts. Here’s how I put them together. step 1. Gather your supplies. 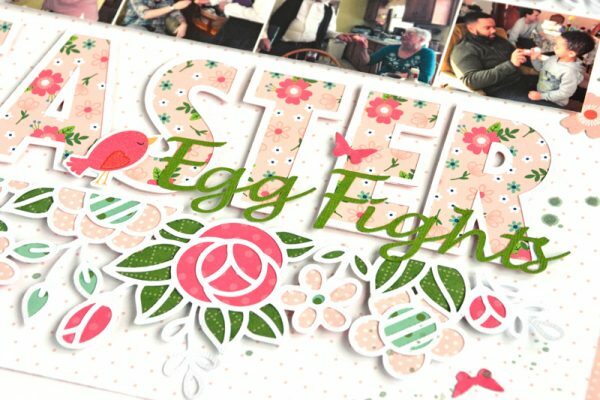 I have used Pebbles Inc Tealightful, green cardstock, shredded tissue paper and a silhouette cutfile. step 2. 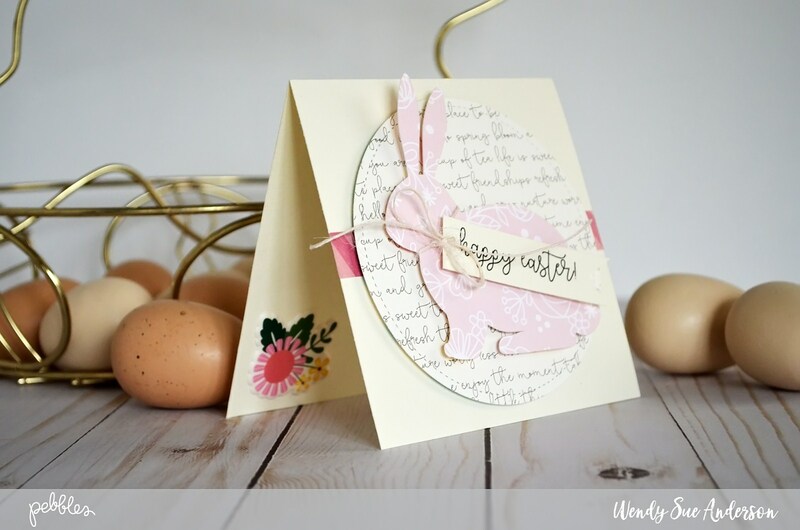 Punch, freestyle cut or die cut a circle measuring 3″ wide. 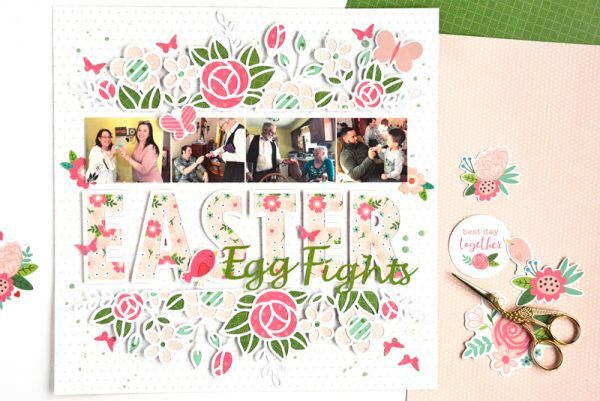 Punch a 1″ circle in the center. 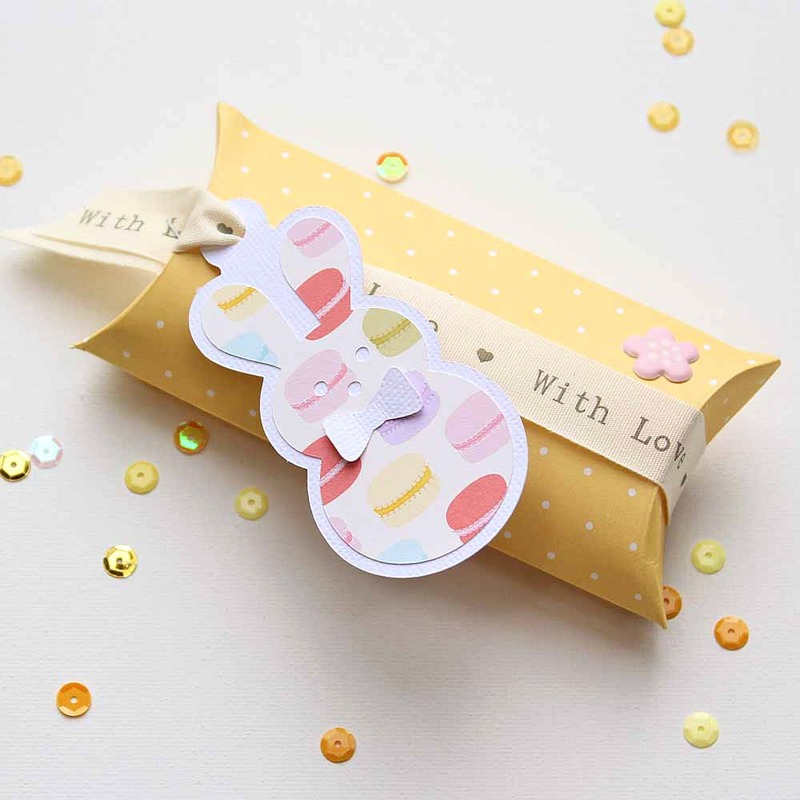 I have cut my circles using an electronic die cutting machine. step 3. 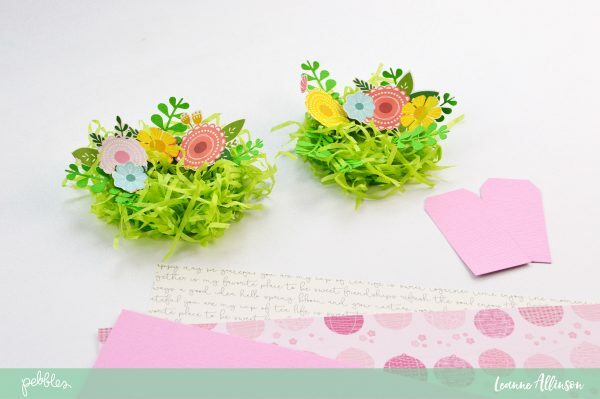 Using a wet adhesive, glue the shredded tissue paper to the cardstock base. 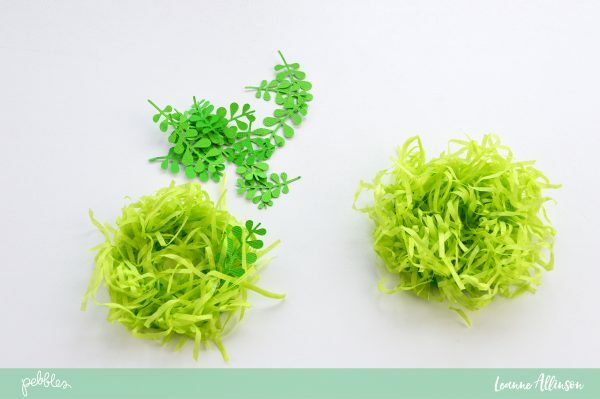 Shape the tissue paper to form a nest. 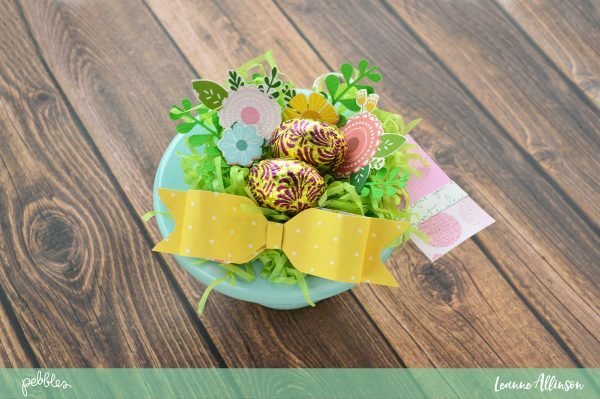 The hole in the centre of the cardstock creates a resting place for any chocolate eggs to sit in. 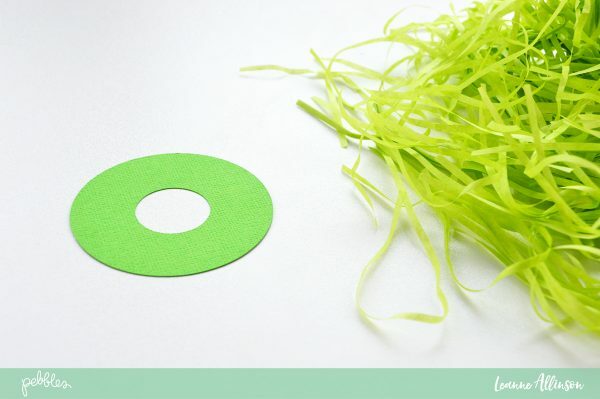 Trim any excess tissue paper from the cardstock base. step 4. 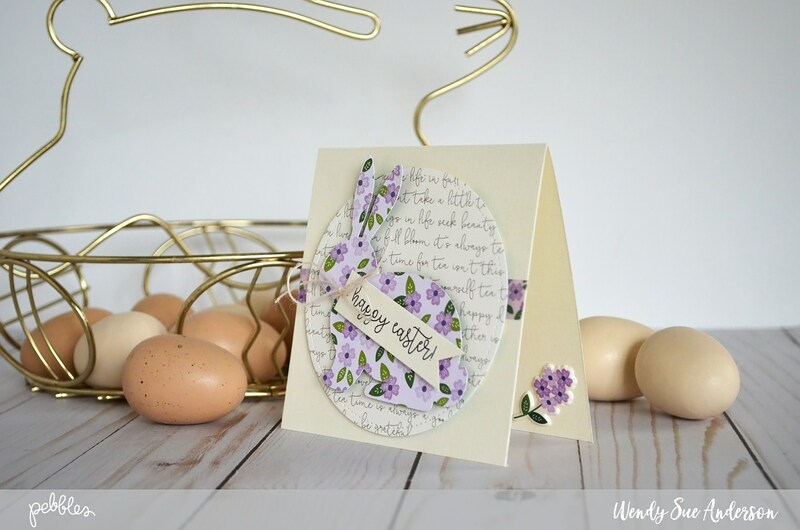 Using the same coloured cardstock, punch or die cut a leaf shape. 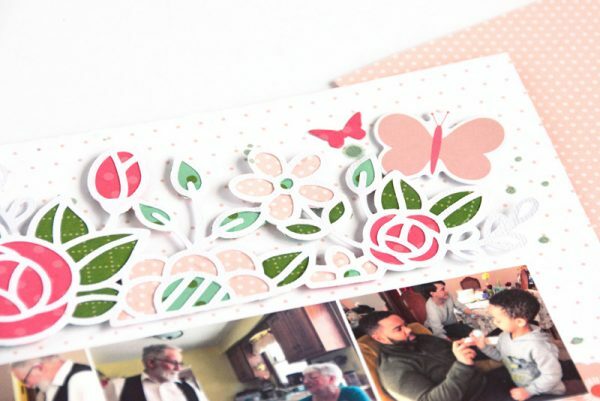 I have used a design from The Cut Shoppe. 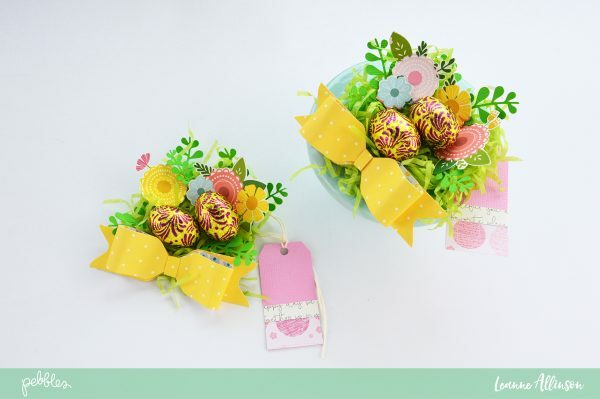 Its simplicity in design suits my Easter gift style perfectly. step 5. 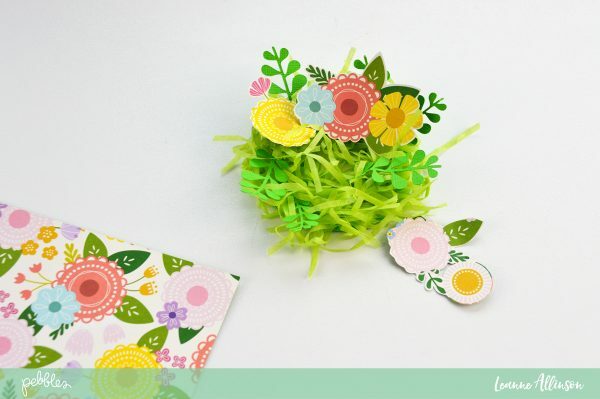 Add the cardstock leaves to the tissue paper nest. step 6. 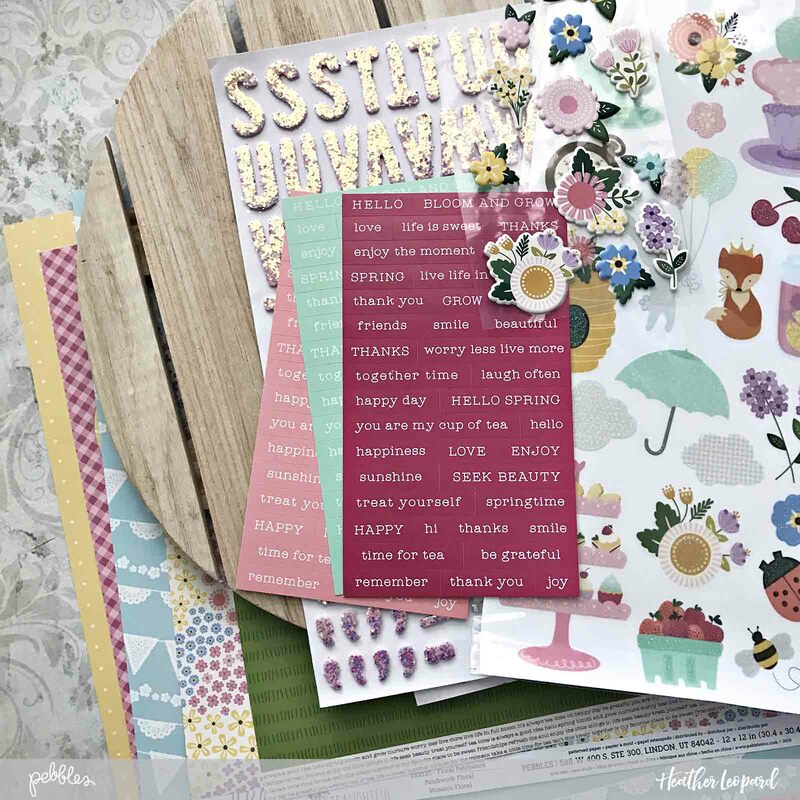 Fussy cut flowers from your favourite patterned paper collection. I have chosen Tealightful Bouquet. step 7. 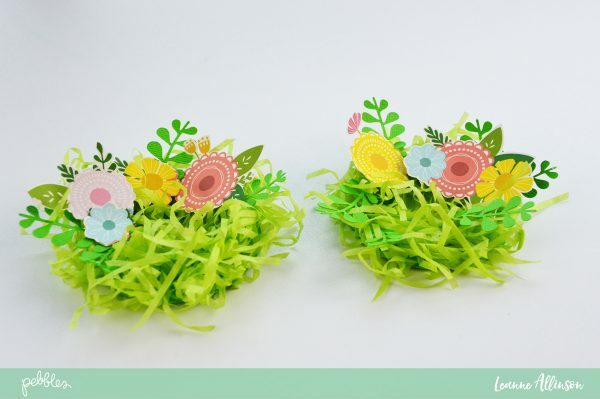 Adhere the fussy cut flowers to the far side of the Easter nest. step 8. 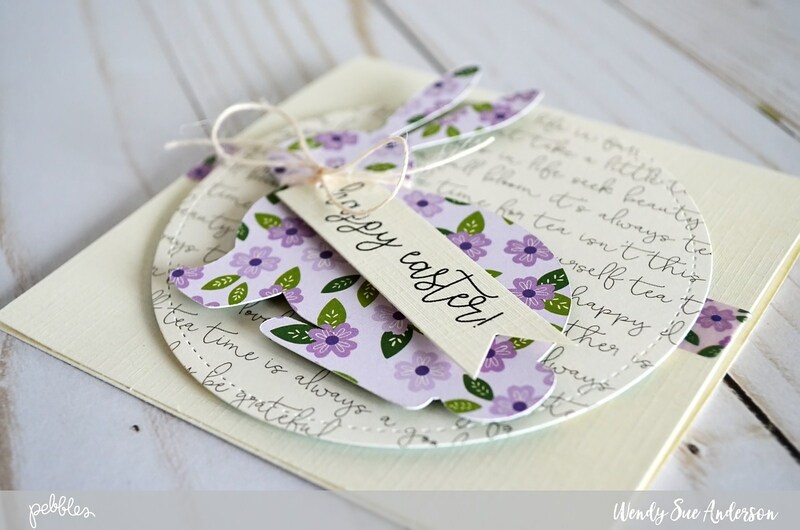 Make your own gift tags using cardstock. 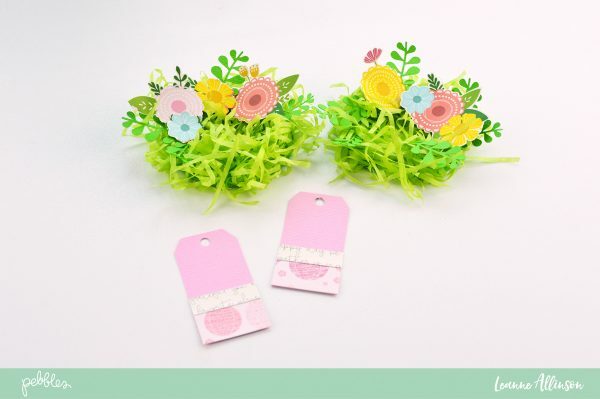 I have sized these tags to 1.25″x2.5″. step 9. 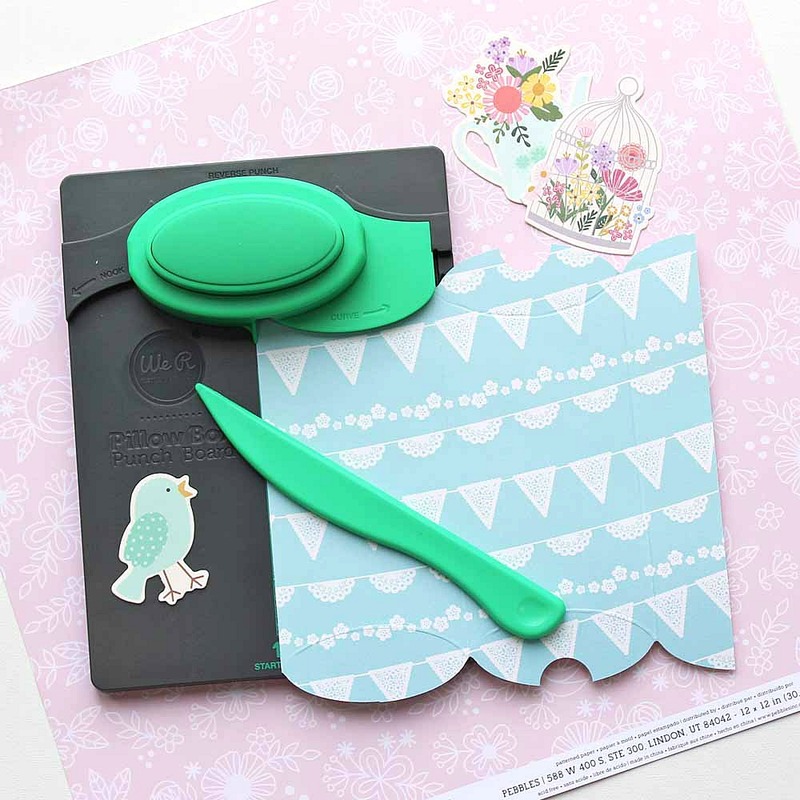 Add more patterned paper to the base of the tags from the Tealightful collection and punch a small hole at the top. step 10. 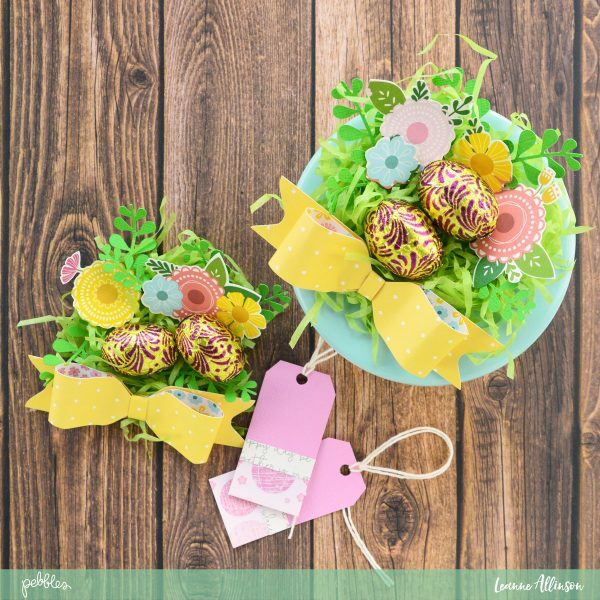 Complete your Easter Nest by adding a small patterned paper bow, created by using the We R Memory Keepers Envelope Punch Board. 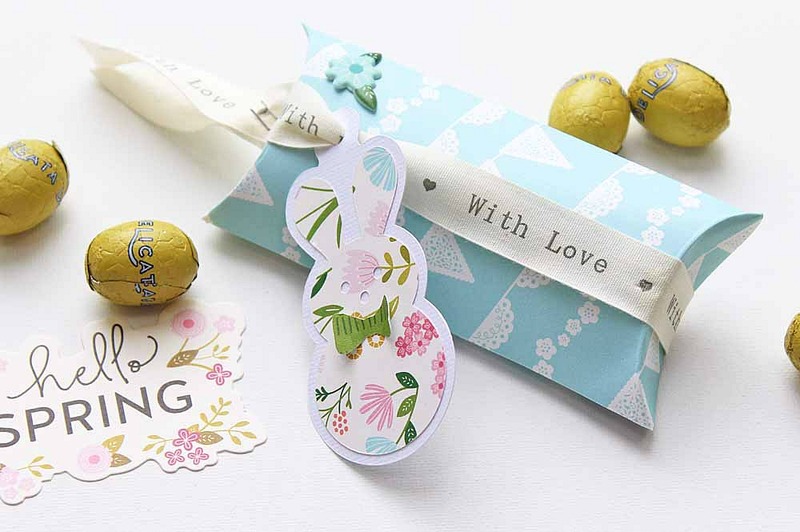 These gifts are small enough to hold in your hand but large enough to hold two mini chocolate eggs! 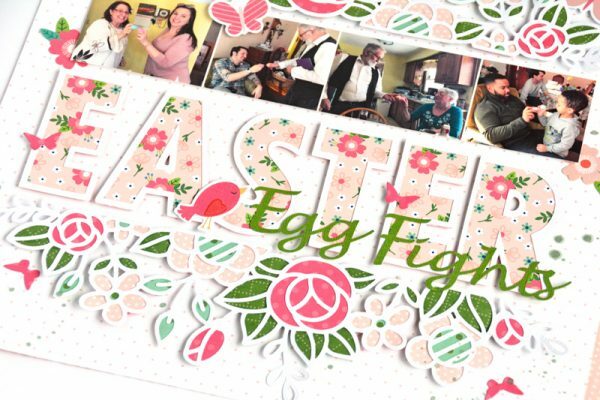 I can’t wait to share these with friends and family come Easter Time. Thanks for visiting today. Hi everyone. 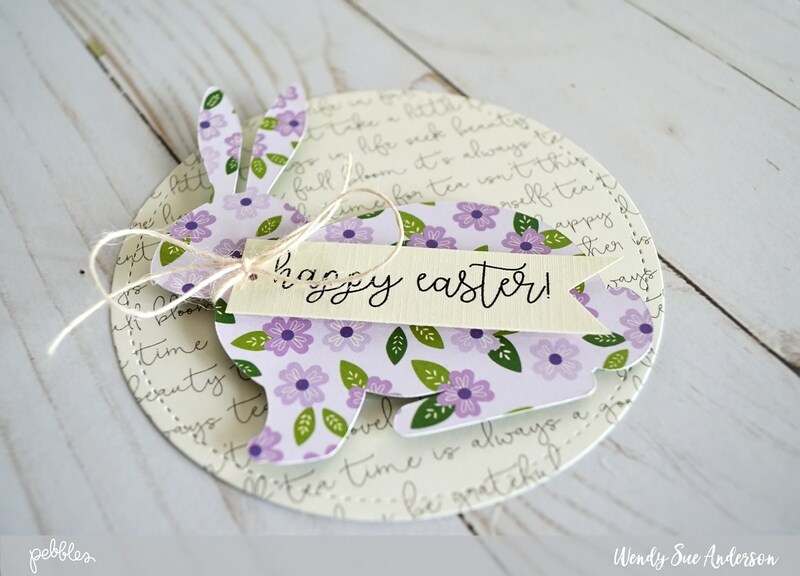 Heather Leopard here and I am excited to be kicking off Easter week with some DIY Easter home decor. 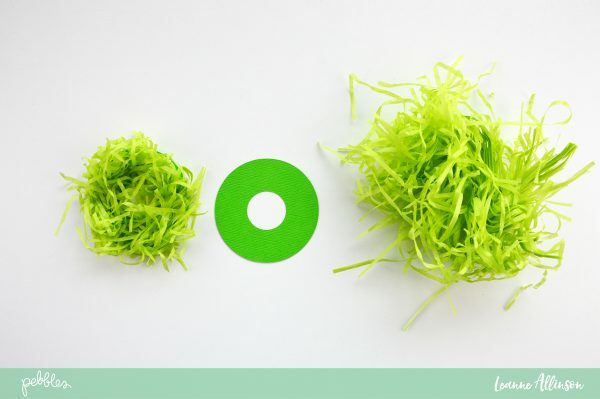 The first thing o do is to cut your grass. 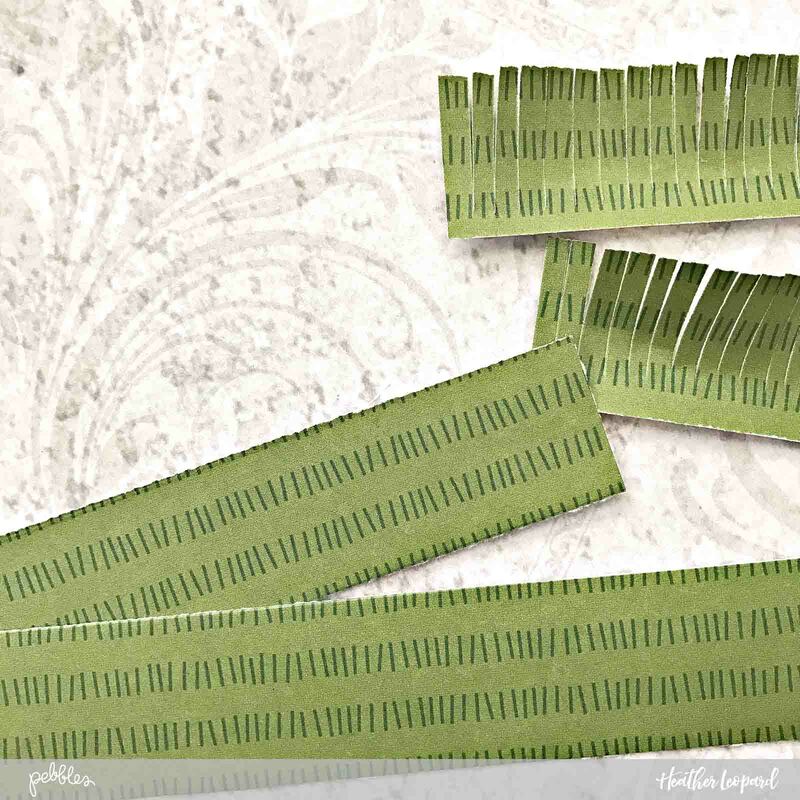 I cut 2″x12″ strips and then fringe cut them to create a grass like feel. I believe I used 7 strips in total. Once I had them all cut, I laid them out on the pallet to see how high I could place them. Once I liked the way it looked, I adhered one over the other, starting at the top and layering each strip over the other until I reached the bottom. I then wrapped the edges of the strips around the sides. 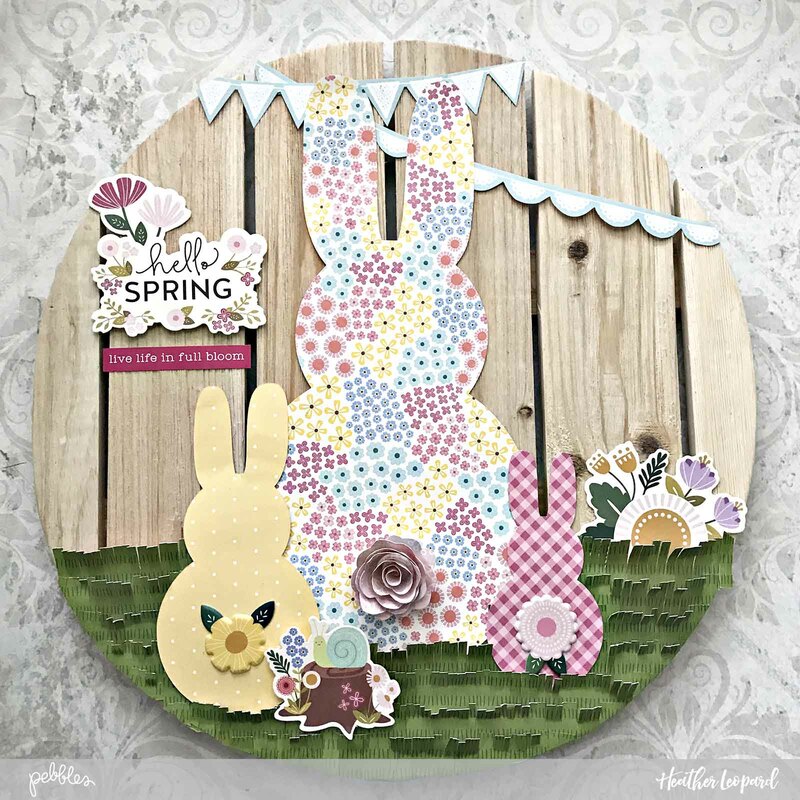 I used a 10″ circular pallet board so I made my largest bunny approximately 8 inches and then just scaled the other two down to approximately 5 inches and 3 inches. Once they were cut, I tucked them in the grass at varying heights, overlapping the large mommy bunny just slightly. 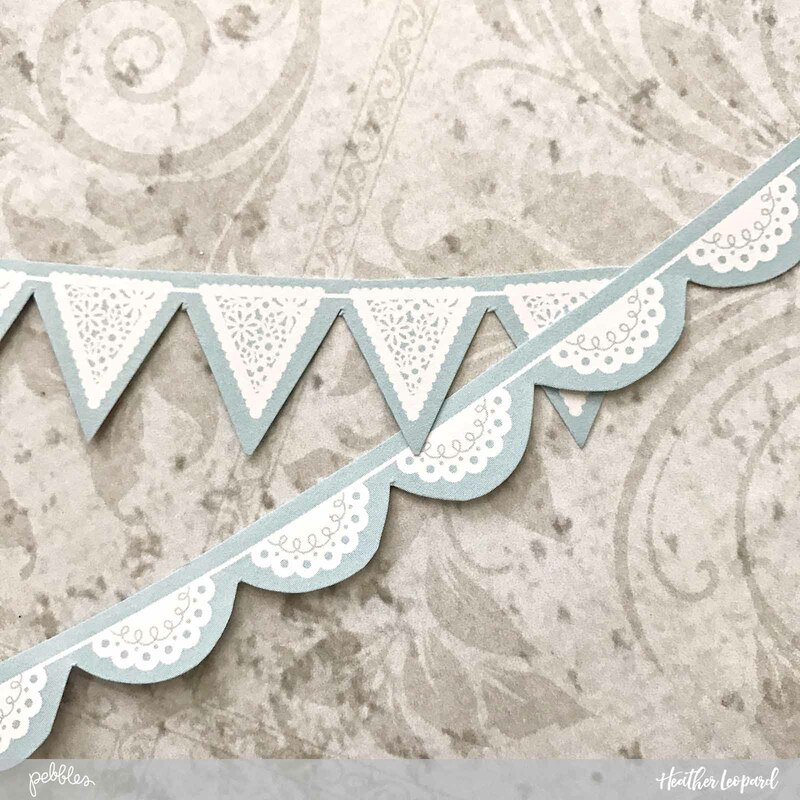 Next, I cut some bunting from the banner patterned paper. I chose to use triangle and circular buntings for this project. 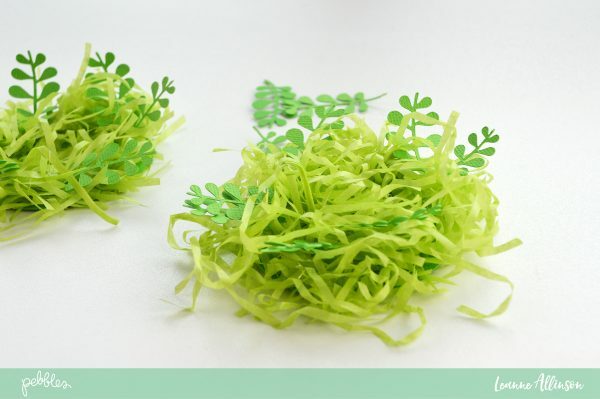 Once these were cut, I placed them at the top and tucked them a bit under mommy bunny’s ears.